Transitioning your code to ASP.NET MVC Core can be difficult, but today, I show you how to take an existing ActionFilter and convert it into a Middleware component. I know I mentioned how much I love ActionFilters, but with ASP.NET Core, things are a little bit different now. With the new Middleware in ASP.NET Core, we are injecting functionality into a pipeline. It's a different way to handle requests and responses. While ActionFilters are specifically meant for MVC, I see Middleware as a site-wide feature similar to Http Modules. 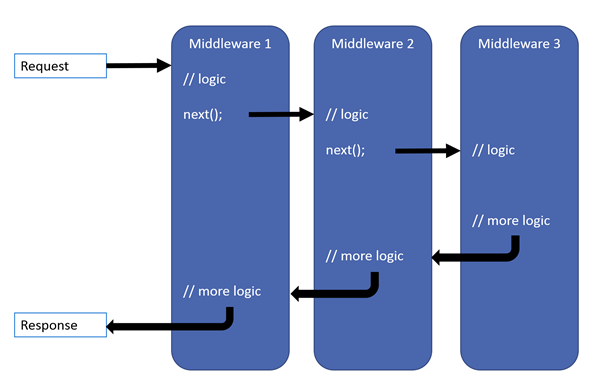 Each Middleware component executes a piece of code and then moves on to the next one. Once each component is done processing the requests, it makes the return trip and executes any remaining code with the responses. While Middleware can replace HttpModules, but it can also replace ActionFilters. ActionFilters are like Middleware components. ActionFilters have an OnExecuting (before execution) and an OnExecuted (after execution). In Middleware, the equivalent to OnExecuting is code before the Next.Invoke() and the equivalent to OnExecuted is code after the Next.Invoke(). So why couldn't we convert ActionFilters into Middleware components? As an example of how to convert an ActionFilter into a Middleware component, I wrote a quick ActionFilter called EmoticonFilterAttribute. The action happens in the response, not the request. So we need to use the OnActionExecuted for processing the HTML. When the HTML is returned, we simply want to enhance it with emoticons (or Emoji for you millennials). Streams, Streams, Streams. It's all about the streams. If you want optimized code, streams are always the better option for performance since it ties nicely into the ASP.NET pipeline. Notice how we isolated the EmoticonStream into it's own class instead of writing everything into the ActionFilter? Trust me, isolating this into a class makes this extremely easier to port over to a Middleware component. Even though the Emoticon stream code is lengthy, you only need to focus on the Write method. We loop through our emoticons to see if we have any in our response. If we do, we simply replace the emoticon with an image. 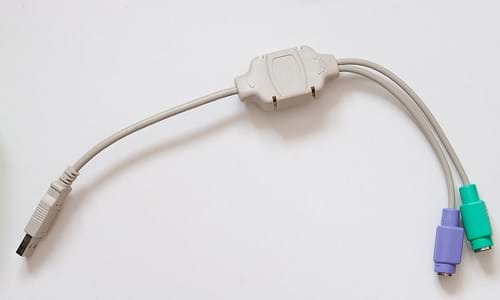 It's a standard ActionFilter that can be applied to an Action or Controller like so. For a simple test, I modified the Index.cshtml to look like this. After testing our ActionFilter, we can see it works. Since we have a working ActionFilter, we can now focus on converting it into a Middleware component. Middleware components are simple classes. Ours will contain a simple constructor and the Invoke method. // Adjust the response stream to include our images. A very simple Middleware class. For every Middleware class, we always need a way to access the RequestDelegate to know which Middleware component we are calling next (based on the _next.Invoke(context) line). This allows us to write code before and after the .Invoke() (similar to the OnActionExecuting and OnActionExecuted I mentioned above). Also, remember when I mentioned it's better to have a separate class for our EmoticonStream? The EmoticonStream class can be reused to latch onto the response and modify the returned HTML as you can see near the bottom of the file. Once we've modified the HTML, we copy the emoticon response into our buffer and give it back to the Middleware pipeline. This returns it back to the client. Now that we wrote our Middleware piece, how do we use it? We add it to our pipeline in our Startup.cs (in bold). Once you have this in place, you can easily see that nothing has changed in our result. Today, I showed you how to convert a simple ActionFilter into Middleware components. While this is a simple example, you'll be able to use this to transition your library of ActionFilters into ready-to-use Middleware components. Did I miss something? Post your comments below.